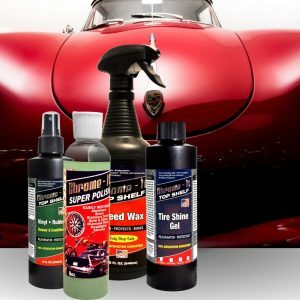 Our Tire Shine Gel will give your tires a great look and a classic shine. If you need a product you can count on to protect your expensive tires from the elements, this is the one for you. 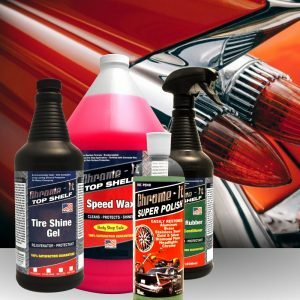 This unique Tire Shine Gel can be applied on a clean tire, dry or wet. Wipe off the excess for a flat finish. Let dry and in 5 minutes it will not sling! If you prefer a more glossy finish, apply heavy and let dry overnight so it doesn’t sling. It has a UV protection which protects your tires from the elements. 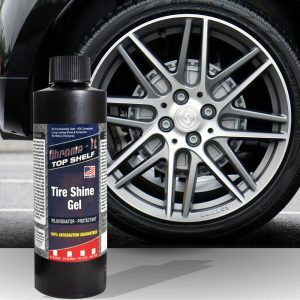 Our Tire Shine Gel will also protect your tires from scuffs and give them a smooth, black shine. Chrome-It Super Polish was started many years ago while the owner was living in Spring Hill, Florida. He was cleaning his 87 Honda Super Magna when a neighbor he had never met came from behind his property and introduced himself. The two men were both automotive enthusiasts and were both severely frustrated by the lack of quality chrome polish, so they decided to engineer their own! The duo spent 3 years travelling and selling at Car and Bike shows and hearing phenomenal feedback about the product. Eventually one owner bought out the other and a retailer and distributor network was set up in order to introduce the product to customers nationwide with a "Seeing Is Believing” motto. We currently have over 100 Retailers and Distributors nationwide. 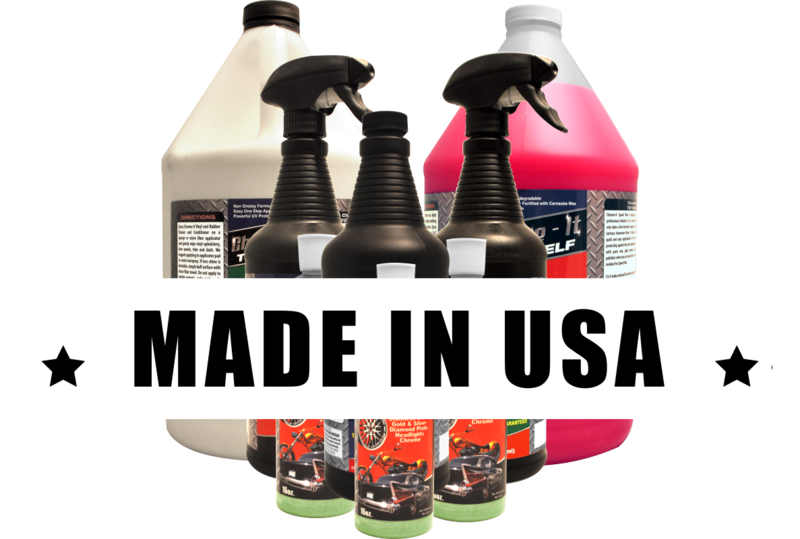 We eventually added a versatile product line for professional detailers and a professional line for the enthusiast. We call this line our Top Shelf detailing products. We will always strive to offer only the best products available and promise you top notch customer service. Our Guarantee says it all, 100% Satisfaction Guaranteed ! If you don’t agree, I will buy it back! If you ever have any problems with our products or questions about any of our products please use the form below to send us a message. If you have a product that you would like for us to consider to carry under the Chrome-It brand name then please send us a message.